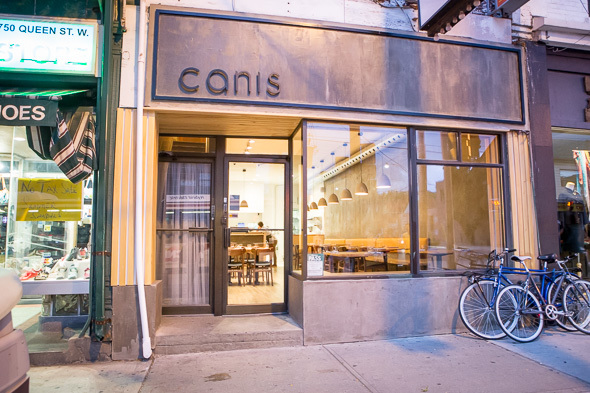 Canis is easy to miss amidst the landscape of dispensaries called Canna-whatever that seem to pop up on every street corner these days. But this West Queen West restaurant has nothing to do with cannabis culture; rather, it takes its name from the majestic North American beast, the grey brindled wolf, or canis lupus. Business partners chef Jeff Kang and general manager Adam Ashukian have gutted the former One of a Kind Pasta . The space has a sleek, minimal, Scandinavian-inspired design. The intimate dining room and open kitchen feel especially spacious and airy, while handcrafted ceramics and understated tableware let the food take the spotlight. 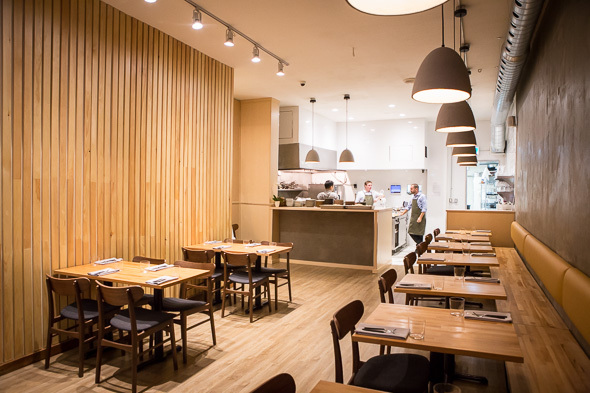 Kang's menu is concise and spans five courses in just 15 dishes. Descriptions are sparse, which leads to the delightful surprises when the dishes arrive at the table. 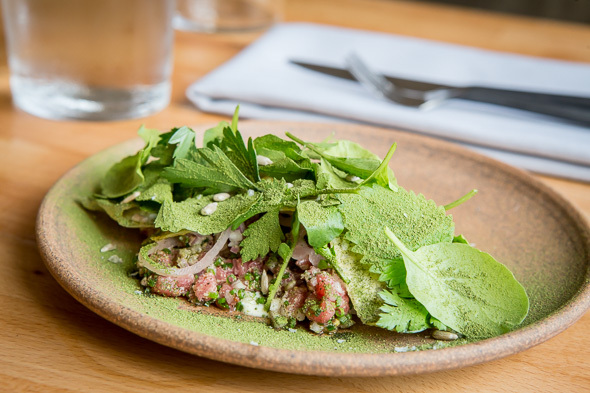 The finely chopped beef tartare ($18) is plated over a pool of creamy garlic aioli and studded with sunflower seeds, tangy pickled onions and chives. It's topped with greens and then dusted in kale powder, a magical seasoning that's earthy, herbaceous and makes everything on the plate sing. 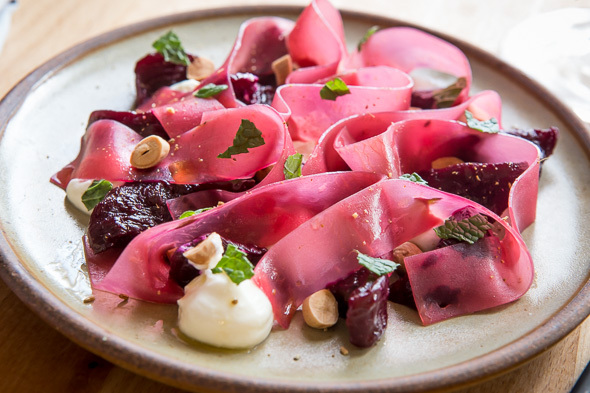 Next, a beet salad ($15) composed of deep crimson wedges of semi dehydrated, pickled beets with pink ribbons of blanched beets and decorated with dollops of goat ricotta, almonds and mint. 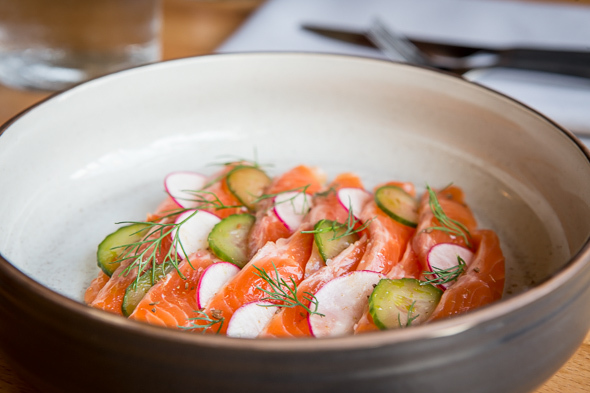 House cured trout ($16) is yet another beautifully presented plate with slices of fish, quick-pickled cucumbers, fresh radish and dill. Horseradish crema adds a luscious and creamy component. 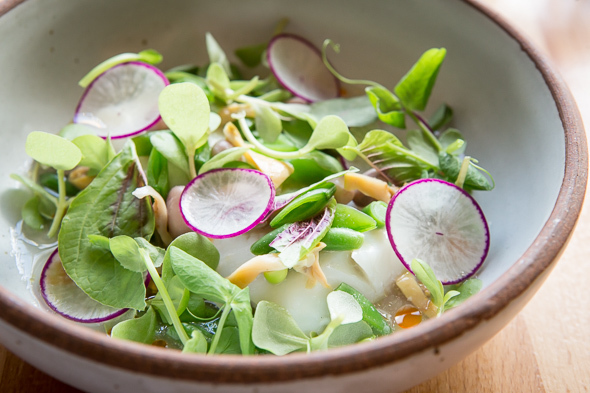 From the list of entrees, lightly poached sablefish ($28) boasts a buttery texture and comes with a medley of clams, romano beans, snap peas and pea shoots. Heartier still is the duck for two ($59). It arrives at the table as a whole bird before staff return it to the kitchen to carve and plate it with wheat berry and onion puree. The service is warm and refined. The kitchen often runs food to the tables, offering diners the chance to hear about each dish straight from its creator. Wines dominate the drinks menu, though Beau's Lug Tread Ale ($9), Kissmeyere Nordic Pale Ale ($12), and Wag the Wolf Hopfenweisse ($14) are among the curated beer offerings. 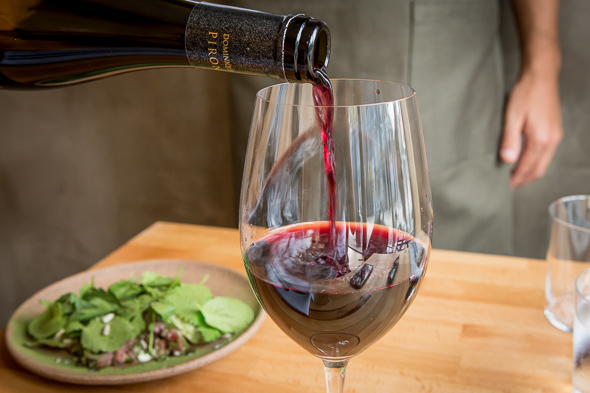 A glass of Dominique Piron Beaujolais is at the top-end of the by-the-glass selection at $15. For dessert, milk chocolate mousse with buckwheat ice cream ($8) is drizzled with honey and finished with a crackling of buckwheat meringue. 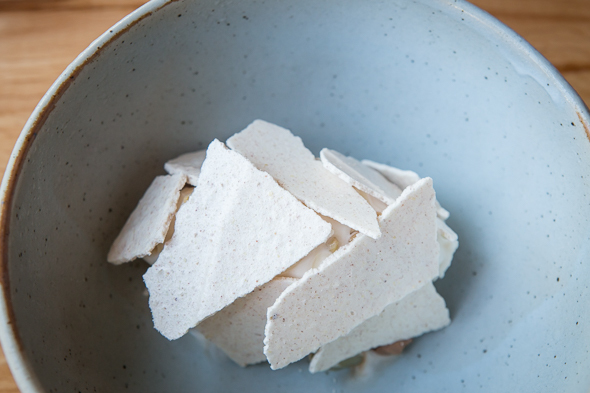 This is my kind of dessert; the portion size is pleasingly petit, the flavours are only slightly sweet, and the slightly grainy texture and toasty flavours from the grains are intriguing.